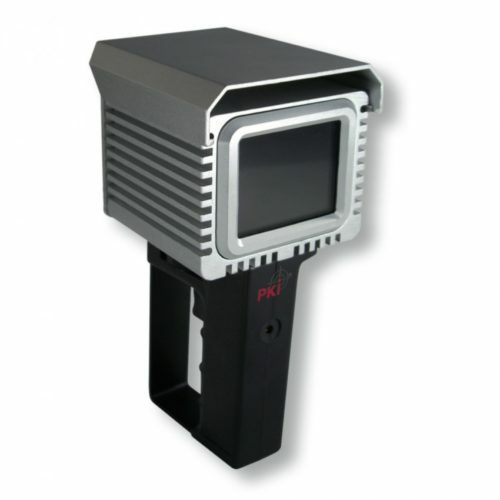 The PKI 5100 is an innovative thermal imager, which offers outstanding imaging and temperature measurement performance together with extreme flexibility, ease of use and minimal operating cost. With the PKI 5100 we can offer an imager that is ideal for thermography and maintenance engineer alike; high quality images may be captured and manipulated offline or problems can be resolved on the spot. The camera comes with an industry leading 3.5” colour LCD display with LED backlight. The ergonomically designed imager houses the complete uncooled microbolometer- based camera core together with a long life Li-Ion battery pack. Images can be stored on MMC or SD cards for recall and further analysis if required and also can be downloaded to a PC for further report generation and printing. Designed for self-contained use, the PKI 5100 contains everything required by the operator. The high power, field replaceable, rechargeable Li-Ion battery allows continuous operation over a full working shift. The PKI 5100 is fully radiometric. Temperature measurements can be made over the entire image, and hot spots can be identified by the use of a trigger activated laser pointer.